Feels Like Heaven was a UK One Hit Wonder - also a top quality tune - reaching #6 in 1984 and also reaching the Top 10 in Germany and Switzerland. The song featured on the band's debut album Throw The Warped Wheel Out. The follow-up single Ghost Of Love peaked at #64 in the UK and the third and final single from the album failed to chart. 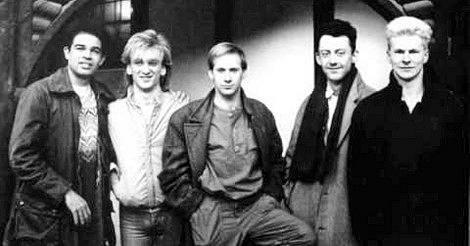 Fiction Factory were a New Wave band from Perth in Scotland who originally formed in 1984. The band reformed especially for the Rewind Festival (UK) in 2011, involving original members Kevin Patterson, Chic Medley, Graham McGregor and Eddie Jordan. Before Fiction Factory, Kevin Patterson (vocals), Eddie Jordan (keyboards), Grant Taylor (trumpet) and Chic Medley (guitar) played in The Rude Boys (later shortened to The RB's), a skinhead ska band. CBS asked the band to create a concert playing band, so they enlisted Graham McGregor (bass) and Mike Ogletree (drums and percussion) - a former drummer with Simple Minds. 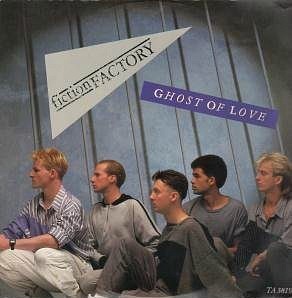 After their second album Another Story flopped, Fiction Factory disbanded in 1987. Patterson eventually left the music industry and currently works in the IT department at the University of Dundee. Kevin Patterson and Eddie Jordan reunited to perform "(Feels Like) Heaven" with a backing band at Eddie Jordan's wedding in August 2007. The follow-up single, Ghost Of Love, peaked at #64 in the UK and was the third and final single from the album Throw The Warped Wheel Out. Now I reckon this is a pretty decent song and deserved a much higher chart placing - have a listen and see what you think! INSTRUMENTAL COVER OF "FEELS LIKE HEAVEN"
After discovering this gem on Youtube I just had to include it here. This is a cracking performance of Feels Like Heaven played on a Yamaha PSR S710 keyboard - love it!